The Tigers use a closing 20-2 run to advance to the Class D South semifinals. 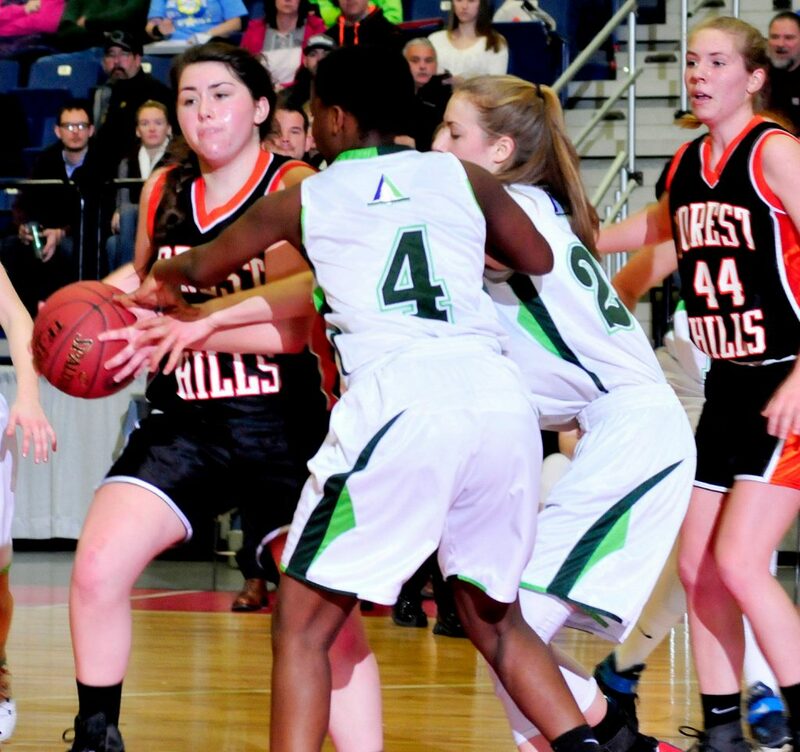 AUGUSTA — Throughout their Class D South basketball quarterfinal Tuesday morning, the Forest Hills girls played defense with the attitude that anybody but Pine Tree Academy’s Alex Goodman could shoot. In the fourth quarter, that philosophy finally paid off for the Tigers. Down seven points with 2:22 left in the third quarter, Forest Hills scored the next 18 points, holding the Breakers scoreless until there were just 20 seconds remaining. That defensive effort led to a 42-31 win for the Tigers. No. 5 Forest Hills (11-8) advances to the semifinals against No. 1 Rangeley (16-3). No. 4 Pine Tree ends the season at 13-6. 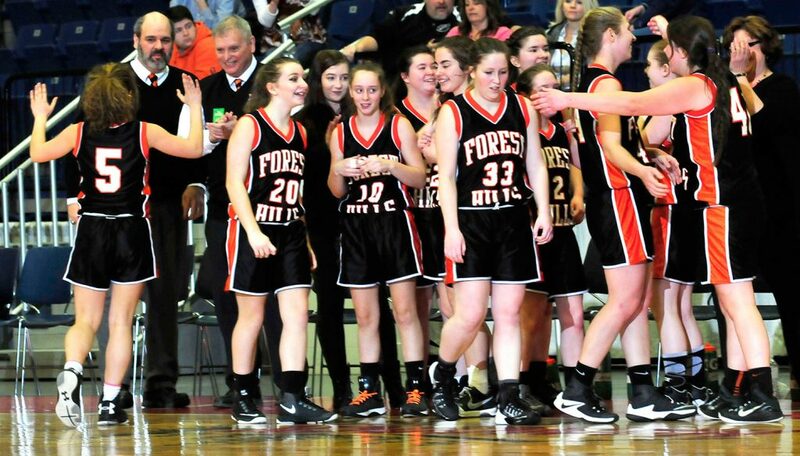 In the third quarter, Goodman shook off the Tigers’ tight defense, and seemed determined to beat Forest Hills herself. She scored 10 of her 20 points in the third, and her basket with 2:22 left in the quarter gave the Breakers a 29-22 lead. Forest Hills captain Caitlin Logston said her team never panicked when Pine Tree went on its run. 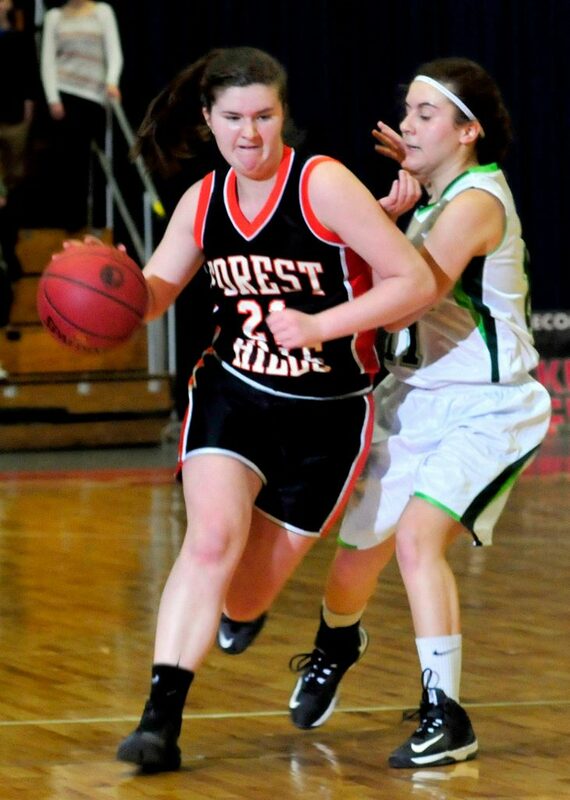 A pair of free throws by Patricia Lessard (15 points) gave Forest Hills the lead for good, 30-29, with 4:07 left. Logston then scored 10 of the Tigers’ final 12 points to cap the comeback. Logston and Lessard did a good job in the low post, scoring 40 of the Tigers’ 42 points and getting to the line. Madison Cuddy drew the primary defensive assignment on Goodman through three quarters before Amero switched things up and put the smaller, quicker Demi Giroux on the Pine Tree standout. Giroux rewarded Amero with a late steal that all but sealed the win. “That was the game plan the entire game. We were going to make the other people beat us. It’s kind of a nervous situation, because the Goodman girl is such a good player. She has seen double team, triple team, box-and-one, you name it, she’s seen those defenses the last two years,” Amero said. 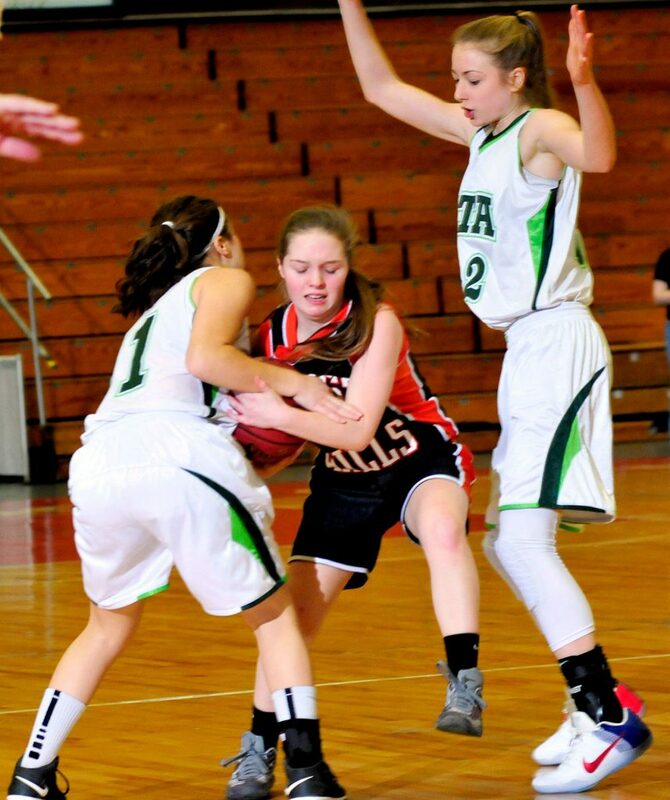 Lessard had 10 rebounds, while Logston grabbed nine rebounds and had four steals.